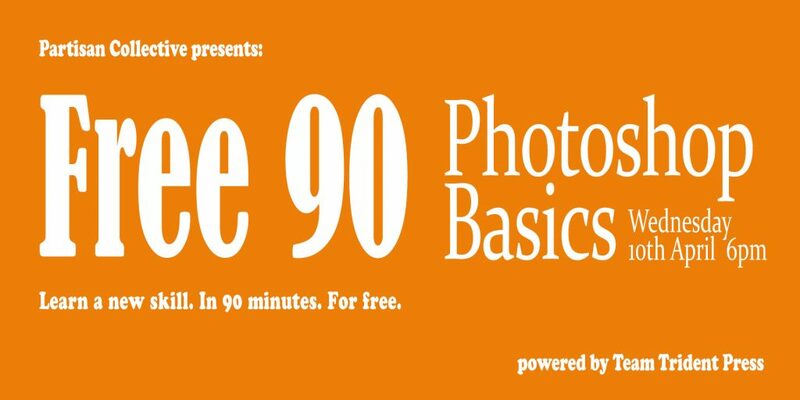 A quick and easy introduction to the basic features of Adobe Photoshop. Learn how to lay out your poster and flyer design for successful printing and how to set up imagery for social media campaigns. People interested will need to bring a laptop and have Adobe Photoshop installed. Also bring along your design ideas and we’ll help you set then up right. Book your free spot via Eventbrite. This is a Partisan members only workshop. If you would like to take part, please join here inadvance.